Life Online - Exfoliate for fresh and healthy skin! Exfoliate for fresh and healthy skin! You probably know how important it is to exfoliate, you may be cleansing, moisturizing, and slathering on the sunscreen but if you’re not exfoliating, your skin probably isn’t as healthy as it could be. Exfoliation is the removal of the dead skin cells on the skin’s surface and can be performed mechanically by using scrubs or chemically, by using scrubs that contain special kinds of acids that dissolve and remove the dead skin cells without scrubbing. Exfoliating creates a healthy glow by removing dead skin cells, keeping your pores from getting clogged, and aiding in skin detoxification. As we grow older, the cell regeneration process slows down and the body is slower to shed skin cells and generate new ones. When these old skin cells start to accumulate on the surface of the skin, it can leave skin looking dull, rough, and dry. Proper exfoliation removes the barrier of dead skin cells clogging the skin and uncovers fresh new cells below. This opens the way for moisturizing products to penetrate more deeply into the skin, which makes them more effective. In short, a regular exfoliating routine will leave your skin looking fresh and healthy. The right scrub can be incredibly nourishing and restorative for your skin, because it contains ingredients your skin crave. Just how often you should be exfoliating depends on your skin-type — and the climate. The golden rule is to start gently and infrequently to see how your skin reacts. 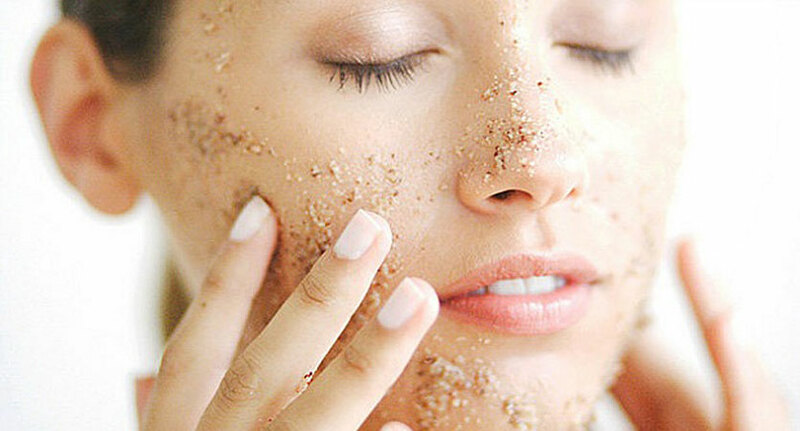 The best type of exfoliation depends on your complexion and the health and sensitivity of your skin. If you have extremely sensitive skin or severe acne, you will want to choose an exfoliating product and method carefully. Most women use manual exfoliation on a regular basis (once a week) and reserve chemical exfoliation for more intermittent use. If you want healthy, glowing skin, regular exfoliation is a must. Limit your exfoliation routine to once a week - over-exfoliating can leave your skin dry, irritated, and damaged. Take good care of your skin and put your best face forward.